This page is written by the game's inventor, Zied Haddad. Musketeer Chess is a modern chess variant. It respects the basic rules of chess, using a classic chess board along with a classic chess set. However, two additional pieces are added as "reserve pieces". These pieces will enter the game progressively after one of the 1st or 8th rank pieces moves for the first time. Black is the last one to choose the location of the pieces in reserve, which will help him make a strategy to counter white's strategy. 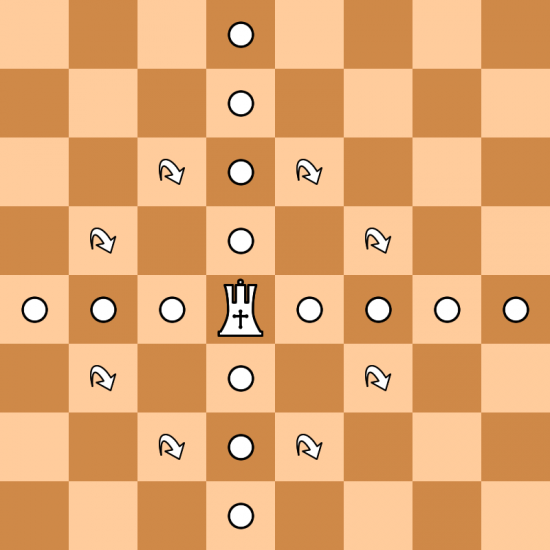 This feature can diminish whiteâ€™s advantage, as the side beginning the game. Adding the new pieces creates ideal conditions for new tactics and strategies. The games are usually shorter, much more spectacular. Creativity regains its place with no more opening learning, eventhough some strategies can be prepared. It's the victory of the Brain over "matter" (theory in chess), eventhough we are using "new material" represented by 2 additional new fairy pieces. The new pieces has a unique design, making their identification easy. They are commercial and Staunton compatible, fitting with the majority of Tournament Chess sets. Musketeer Chess begins like Orthodox Chess, by placing all the classic chess pieces on the 8x8 Board. First, white must choose one new piece among the 10 new pieces. Black has 10 seconds to disagree with whiteâ€™s choice. If black accepts whiteâ€™s choice, he must then pick up the same black colored piece. After 10 seconds without answer, black is supposed to have accepted whiteâ€™s choice. Itâ€™s now blackâ€™s turn to choose one of the pieces from the remaining 9 pieces. He has ten seconds to make his choice. If not, the default choice must be the Leopard (or Cannon if Leopard has already been chosen). White must then pick up the same piece. If no agreement is reached on the choice of the first new playing piece, then the default choice must be Cannon and Leopard. After the two new pieces are defined, both white and black will place their new piece respectively on the zero and ninth line. Each new piece is placed behind one classic chess piece. Itâ€™s strictly forbidden for players to place the new pieces both behind the King and the Rook at the same time (this hampers from introducing at the same time both new pieces when castling). The new pieces are introduced on the board respectively when the piece in front of them moves for the first time. 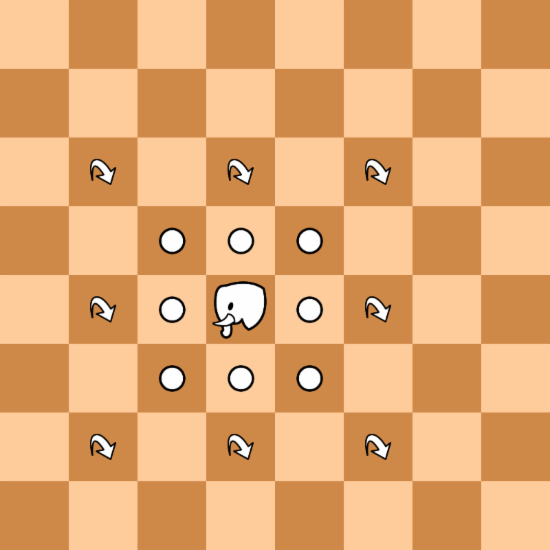 For example: white will place his Leopard on square d0 (behind the white Queen). His Leopard will be placed on the board when the white Queen first moves away. However, if the White Queen is captured before making its first move, then white forfeits their right in introducing the new man. If the new man is placed behind the King, and the king moves because he is checked, then the right to introduce the new men is also forfeited. If the new man is put behind the King, then it is introduced when castling. The same is true when the additional man is put behind a Rook. However, it is forbidden to put the two extra new men behind a King and a Rook at the same time, preventing the introduction of the two new men at the same time when castling. If a Fortress is put behind blackâ€™s King (e9). If the Black king castles, the Fortress will be placed on the e8 square. PGN Notation: For short castle: 0-0 (Fo-e8). If blackâ€™s king is in check and the black king moves without capturing the piece that checks, black forfeits his right to introduce the Fortress, etc. When promoting, a pawn can be promoted into any of the Classic Chess pieces (except the King) and equally into any of the new men that was part of the game. For example, the game began with Cannon and Unicorn. If a pawn is promoted, it cannot be promoted to a Leopard, but it can be promoted to a Cannon or a Unicorn. If a second pawn is promoted, it can be promoted to a Cannon or Unicorn again (we can then see 2 Cannons or more for the side that promoted etc). NB: The default piece combination in case of no agreement between the players, can be changed from the current default (Leopard & Cannon) by a tournament director or tournament organisers to fit the tournament needs. The combination of the additional pieces can also be predefined by the Tournament Director (to make thematic tournaments). Note that for example Leopard + Elephant or Elephant + Leopard isn't really the same variant, as in Musketeer Chess the placement of the pieces is subject to the rank of piece choice: if you choose the Leopard first and the Elephant second you have to place Leopard first and Elephant second, and vice versa. Classic Chess Set and board. We add two new extra pieces both sides agree on the pieces to add from: Cannon, Leopard, Archbishop, Chancellor, Elephant, Hawk, Unicorn, Dragon, Fortress and Spider. Leopard : Similar to the Knight, it is classified as a leaper. It can move by jumping like a Knight or slide like a Bishop diagonally in an unobstructed path. When sliding diagonally, the Leopard moves only by one or two squares in any direction. Leopard is worth 670 when a pawn is worth 100. Cannon: The Cannon is classified as a leaper. It can leap two squares orthogonally in any direction. But it can also leap like the Knight, only moving 1 square forward then 2 squares horizontally. The Cannon can also move like the King, one square in any direction. Cannon is worth 750 when a pawn is worth 100. Unicorn: The unicorn is a pure Leaper. It can move like the knight (1+2 or 2+1), but it can also â€œjumpâ€ like an extended knight (1+3 or 3+1). It controls 16 squares. Unicorn is worth 560 when a pawn is worth 100. Dragon also Called Amazone: The Dragon can move like a Queen and a Knight. It can checkmate without any help. Dragon or Amazone is worth at least 1250 when a pawn is worth 100. Chancellor: The Chancellor can move like a Rook or a Knight. Chancellor is worth 800 when a pawn is worth 100. Archbishop: The Archbishop can move like a Bishop and a Knight. Archbishop is worth 770 when a pawn is worth 100. Elephant: Similar to the King, the Elephant can move one square in all directions. It also leaps orthogonally or diagonally by 2 squares. The Elephant can control up-to a maximum of 16 squares. Elephant is worth 630 when a pawn is worth 100. Hawk: The Hawk is a pure leaper. It jumps 2 or 3 squares orthogonally or diagonally in any direction. Hawk is worth 550 when a pawn is worth 100. Fortress: It can move in an unobstructed path, sliding diagonally in any direction, but limited to a maximum of 3 squares (for example from f1 it can slide to e2, d3, c4, g2 and h3 but cannot reach b5 or a6). The Fortress can also "jump" like a Knight only 2 squares vertically and 1 square horizontally (from f1 it reaches g3 and e3 but cannot jump to h2 and d2). The Fortress can also "jump" in any direction vertically or horizontally by two squares (from e3 it can jump to c3, g3, e5 and e1). Fortress is worth 760 when a pawn is worth 100. Spider: It can move in an unobstructed path, sliding diagonally in any direction, but limited to two squares. The Spider can also "jump" like a Knight. It can also "jump" in any direction vertically or horizontally by two squares. When starting from h1 for example, it can move to g2, f3. It can also "jump" to h3, g3 f1 and f2. Spider is worth 815 when a pawn is worth 100. Check the author's website for Game rules, playing Many Chess Variant Games, commercial Links: www.musketeerchess.net The new pieces are commercial and available at the House Of Staunton, and Amazon USA & Europe see the following links: For Amazon Europe Links, and House of Staunton Links, please check the following: http://musketeerchess.net/site/buy-pieces/ http://www.houseofstaunton.com/musketeer-chess-leopard-and-cannon-kit-4-pieces.html http://www.houseofstaunton.com/musketeer-chess-elephant-and-hawk-kit-sharper-kit-4-pieces.html http://www.houseofstaunton.com/musketeer-chess-chancellor-and-archbishop-kit-camaratta-kit.html http://www.houseofstaunton.com/unicorn-fortress-combination-4-pieces.html http://www.houseofstaunton.com/chess-variant-kit-spider-dragon-combination-4-pieces.html Available in 2018: NextGen Pawns: An alternate design for Pawns (7 different models) + a trial to improve the Pawn rules. Available in end 2018-beginning 2019: 20 New Fairy pieces, among them many Figural pieces such as: Bear, Wolf, Dog, Dragon, Griffin, Rhinoceros, Lion, Lioness, Wildebeest, Camel, Spider, Aquila (Royal Eagle) and much more. Musketeer Chess is a commercial chess variant. The pieces developed for Musketeer Chess are universal, and Staunton compatible, can fit with any Classic Tournament Chess Set. Musketeer Chess Pieces (Chancellor, Archbishop, Elephant, Hawk, Leopard, Cannon, Dragon = Amazone, Spider, Unicorn, Fortress) can be used to play many Chess Variants, to customize a Classic Chess Set. The pieces them selves sometimes offer more customisation interchanging their basis and tops. IMO One of the better contemporary variants out there, featuring a great mashup of fairy pieces old and new. Where s-chess allows for a far more sly strategy concerning the pieces in hand, musketeer chess respects the integrity of chess’ perfect information by having players pre-determine their drops. My only critique would be my concern towards the inevitability of the piece roster expanding. Will the future second and third series pieces be welcomed updates, or will they sour the game as it stands? I can’t really say. As a commercial variant though, it is fair to say that musketeer chess, and the ‘Modern Chess Variants’ project in general, is highly ambitious. I have had a chance to start 4 or 5 games using this variant.Â I think it is an excellent game and has great potential for further development. Theoretically a game could be played with any piece ever thought up for chess variants and the wide variety of potential pieces reminds me of Navia Drapt, an oriental chess-like game, from a few years ago.Â One would just have to make up a suitable piece to represent the desired piece. The game is similar to some ways to Seirawan chess, but the resticted deployment of the reserve pieces does add tricks and traps to the openings.Â For instance I lost this quick little game White Hawk c0, Archbishop g1 Black Hawk f9 Archbishop b9.Â 1 d4 d5 2 Bg5/Hc1 Nf6 3 Hc3 Nc6/Ab8 4 Hc5 and black already is losing a piece! There is no defense against Hxf8 taking both the bishop and the Hawk deploying behind it.Â The Jocly.com boards are easy to use although the 3D version is a little touchy and I prefer entering moves on the 2D version. As far as new additional pieces that might be introduced, I would suggest pieces like the Shogi Horse and Dragon, maybe a King/Man and Knight combo, and a reflecting bishop or Horse, which was an interesting piece from Navia Dratp.Â I like the chess-like feel and would not necessarily recommend changing the pawns. Any update on when we might see alternate pawn pieces? Any chance they'll be available in the the first quarter of 2017? You pointed out, that you are searching for an alternative to the ordinary F.I.D.E. pawn. Are you still searching? I have an proposal for you. First of all, I think you should change the movement of the pawn. If not, there's not really a big difference between your variant and Seiravan chess. 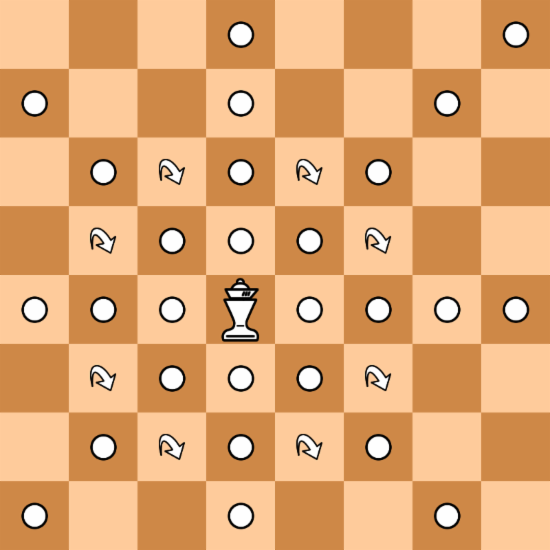 At first, let's look at some alternatives from other chess variants. The most basic pawn of fairy chess is the Berolina Pawn. While the F.I.D.E. Pawn takes diagonal and moves orthogonal, for the Berolina pawn it's exactly the other way around: It moves diagonal and takes orthogonal. There is also the Eurasian Pawn. It combines the abilities of the "Western" Pawn and the Chinese Pawn. M. Winther invented the Scorpion Pawn. This pawn moves like the ordinary pawn with the addition that it also can move like a wide knight forward. So a Scorpion Pawn on d4 can move to d5 or take on c5 and e5 and additionally can go to b5 and f5. By the way my proposal resembles a bit this type of pawn. 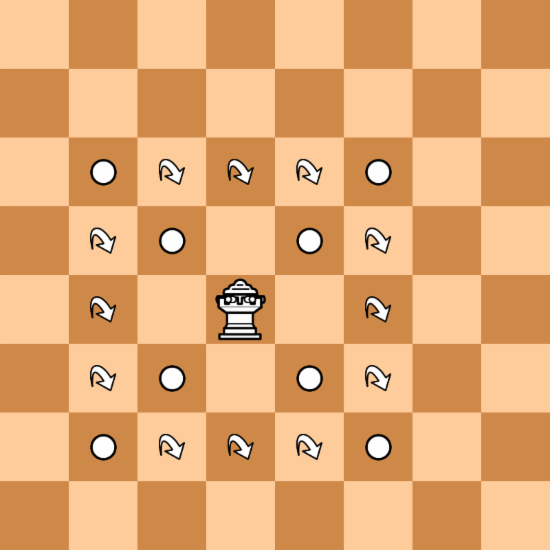 When you want to develop a pawn for your chess variant, you at first have to make sure, that it fits to your chessvariant. Every chessvariant has its idea. The idea of Gothic Chess is that there is not only a combination out of Bishop an Rook (the Queen), the combination out of Rook and Knight (the Chancelor) and the combination out of Bishop and Knight (the Arcbishop) are introduced, too. 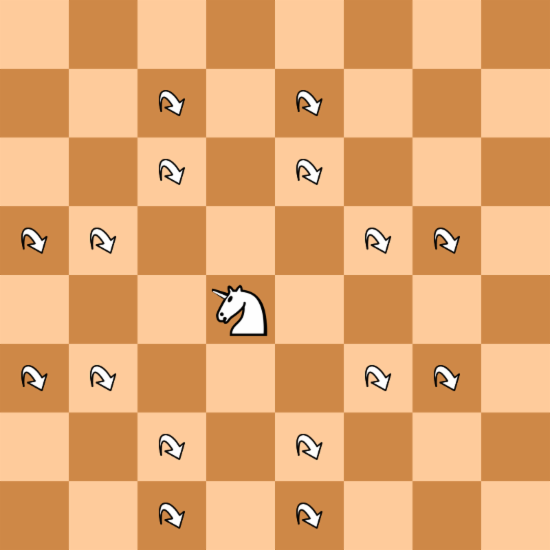 The idea of Wildbeest Chess is, that there is not only a colorbound Rook (the Bishop), but also a colorbound Knight (the Camel). Ecumenical Chess is just a combination out of both ideas. What is the idea of musketeer chess? I think it should be a variant, where the opening plays like in F.I.D.E. chess, but the midgame and the endgame should differ from that. The result should be, that the game becomes less drawish. I propose to use a pawn, that can move like an ordinary F.I.D.E. Pawn with the addition that it can take like a wide knight backward. 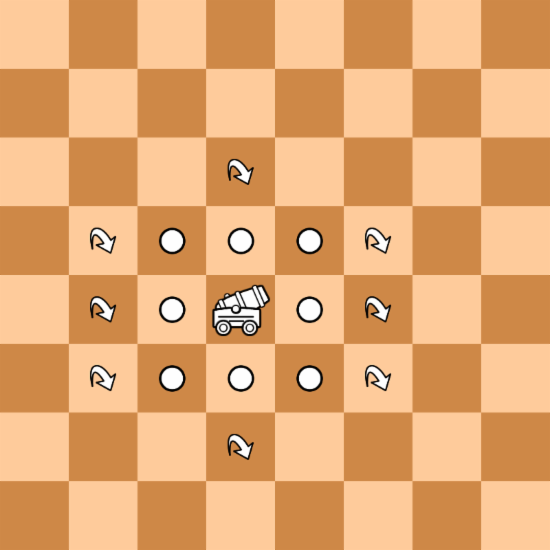 Note that at the first move,it can only move like the ordinary F.I.D.E. Pawn. What is the impact on strategy? Note that, when black has an half open c-file and white has a pawn on c2, it isn't really a backward pawn, when white has still a pawn on e3. An isolated pawn on d4 is not really isolated, when white is able to put a pawn on f5. We have to clarify, if such a pawn can take on the first row. If it is possible a passed pawn on e7 is not really a thread, if black has still a pawn on c7. After e7-e8Q black can simply play c7xe8. If the a file is open and white plays Ra1xRa8 black can play c7xa8. Should a pawn on the first row still have the option of the double step when it moves to the second row? It also could be possible that this pawn has a triple step from the first row. When the pawn takes like a white knight backward, is it allowed to take en passant? If so, after black has moved a7-a5 a white pawn on c7 can just move c7xa6 e.p. Leopard leaps as a Knight or moves as a Bishop up to two spaces. Cannon moves as Dabbabah, Wide Knight, or King. Unicorn moves as Knight or Camel. Dragon = Amazon Chancellor: R+N Archbishop: B+N Elephant moves as King, Dabbabah, or Shatranj Elephant Hawk leaps two or three spaces diagonally or orthogonally. Fortress leaps as Narrow Knight or Dabbabah or moves as a Bishop up to three spaces. Spider leaps as Knight or Dabbabah or moves as a Bishop up to two spaces. Spider = Leopard + Dabbabah.